It’s been a year full of Buffalo Fried Calamari, Mexican Meatball Soup, Chocolate Peanut Butter Shortbread Bars, Cinnamon Blueberry Muffins, and Soft Drop Gingerbread Cookies, to name a few. 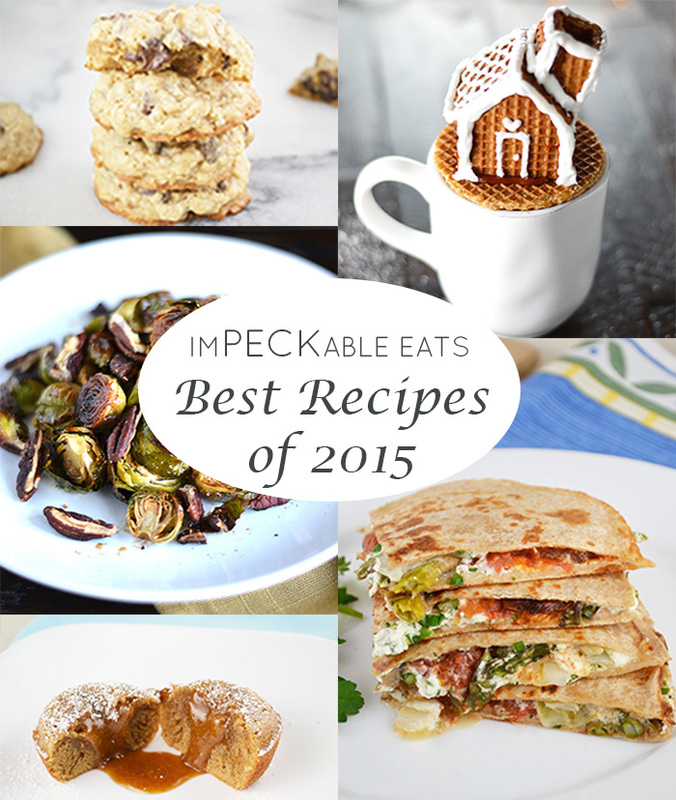 Picking just 5 favorite or best recipes wasn’t easy. I don’t have any real structure or rating system for it. I simply picked the ones I either enjoyed making or eating the most. They are all definite wins that I can’t wait to repeat or now make regularly. 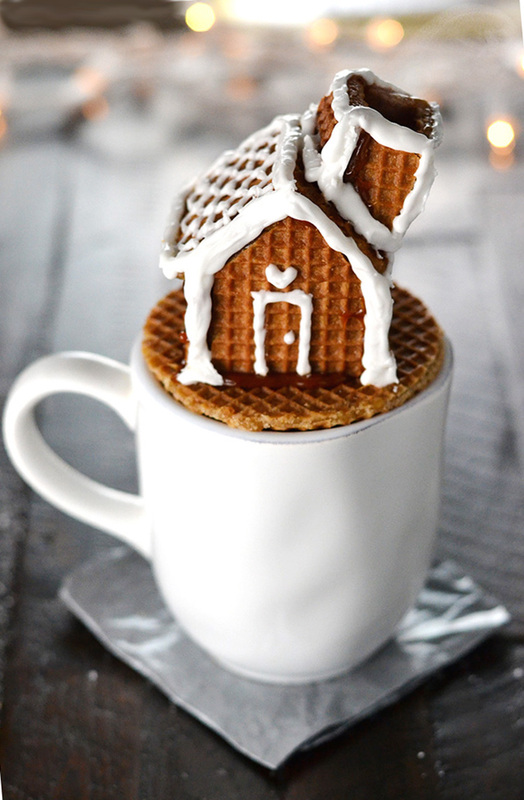 These adorable non-gingerbread gingerbread houses are made from mug-topper ready Stroopwafel cookies. These caramel filled dutch cookies make the cutest little house to top your hot beverage and even has a working chimney for the steam. Speculoos Cookie Butter meets gooey decadent lava cake. It’s all the best of those spiced ginger cookies in a perfect little cake with a soft molten center. 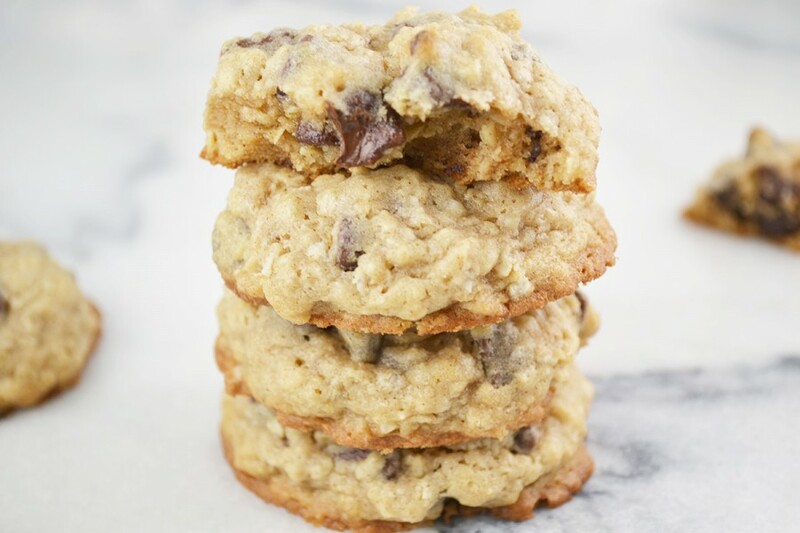 It’s hard to go wrong with chocolate chip cookies. This soft and chewy cinnamon scented oatmeal version is sure to disappear before it even has a chance to cool. Healthy and simple get some help from honey. 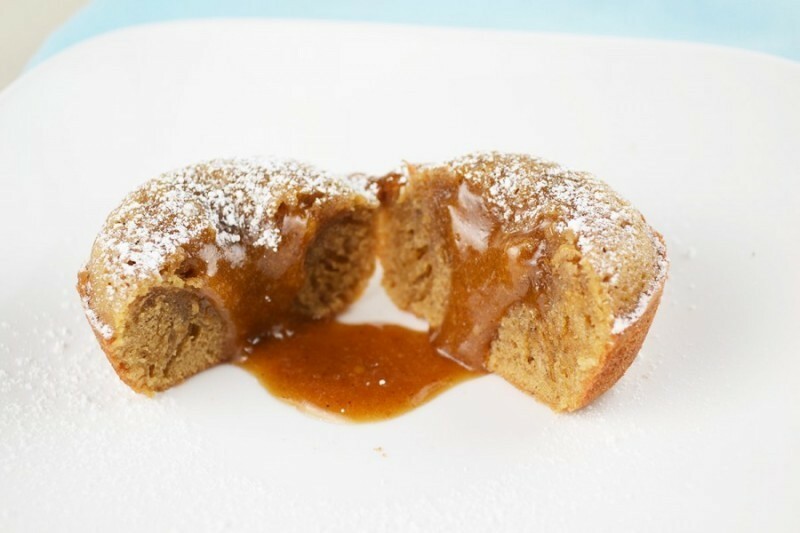 The caramelized roasted flavor with the sweet honey are the perfect match. 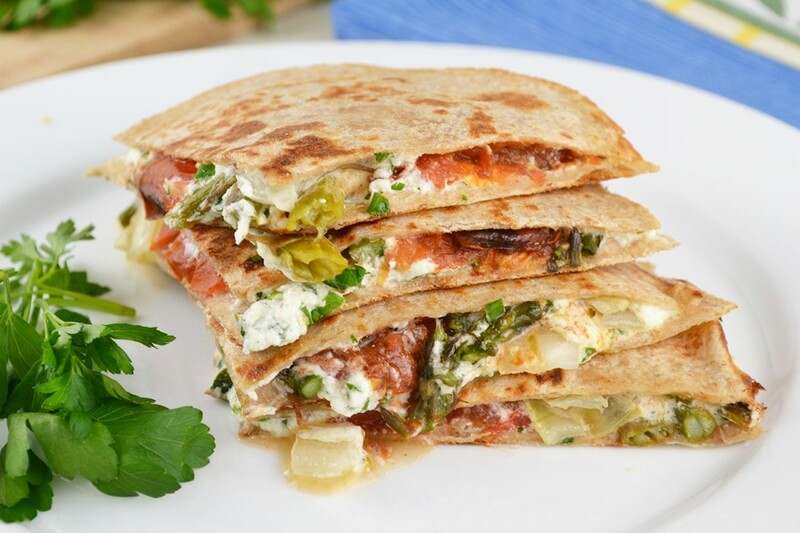 Sandwiched with creamy goat cheese, this quesadilla combines juicy roasted tomatoes with garlicky asparagus and caramelized onion. 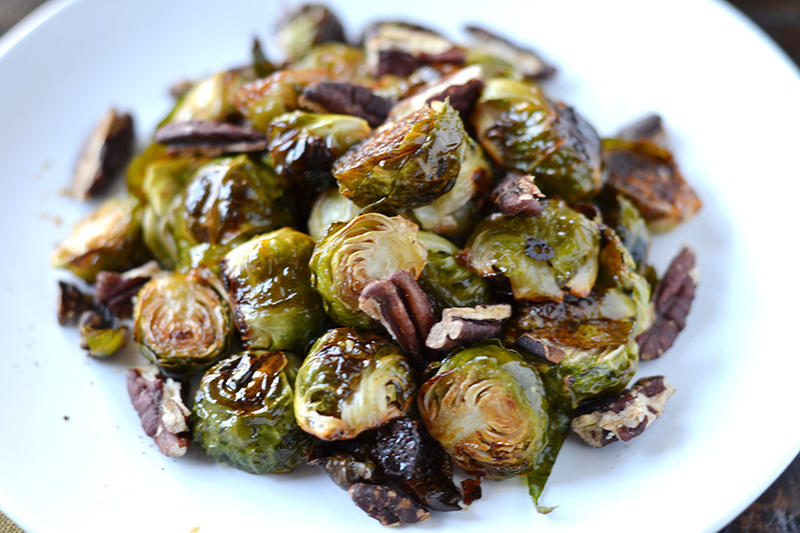 Bursting with flavor is an understatement.